Yankee great and highest paid major leaguer Alex Rodriguez has had his share of stress this year – following hip surgery in January, allegations of ongoing PED use have sprung up again. 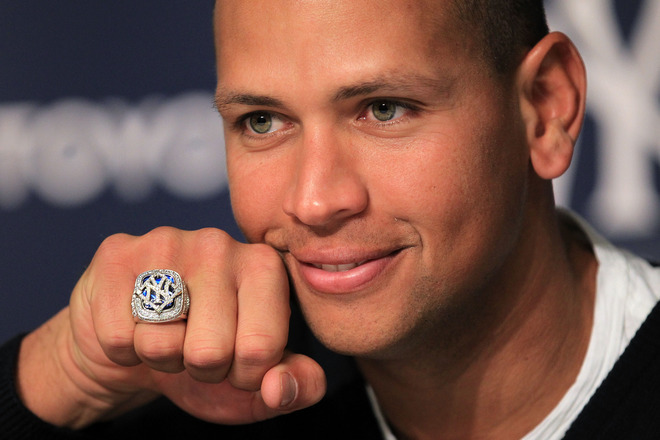 But now A-Rod’s name is being dragged into a bankruptcy case in South Florida – all over his 2009 World Series ring. Usually it’s the pro athletes themselves embroiled in their own bankruptcy filings, but in this case, it’s the finances of a close family member that has A-Rod making headlines. After the Yankees won the World Series in 2009 and A-Rod got his winner’s ring, he had several copies made and gifted them to friends and relatives. One of the rings landed on the finger of his cousin Yuri Sucart. But two years ago, when Sucart filed for bankruptcy in South Florida, he didn’t list the ring among his assets. The question is, when was he given the ring? Logic dictates that A-Rod probably gifted the rings not too far after the Yankees World Series win when they would have carried the most cachet. If that holds true, the bankruptcy court will no doubt take issue with Sucart excluding it from his list of assets. There are two concerns at play here. First, who is entitled to ownership of the ring in light of Sucart’s bankruptcy filing? Second, if he owned it at the time of his filing and deliberately excluded it from his asset listing, will he face the wrath of the court? The ring is no longer in Sucart’s possession anymore. In late December 2012, Sucart sold the ring to a South Florida sports memorabilia collector for $10,000 which he pocketed. The collector – John Battaglia – consigned it to Goldin Auctions of New Jersey who has been taking bids. The sale is slated to close on April 5th and the ring will go to the highest bidder. Currently, it’s at over $33,000 and is rising. The media circus attached to the ring will no doubt bring more interested parties to the table. But back to the first issue – ownership of the ring – Sucart’s bankruptcy Trustee is weighing in and wants the proceeds from the auction to go toward Sucart’s creditors. Battaglia is fighting this because he wasn’t aware of the bankruptcy filing when he bought the ring for $10,000 from Sucart. So far, the only one who has benefitted from the sale of the World Series trinket is Sucart himself. For now, the auction house has been directed to carry on with the sale, but to place the proceeds in an escrow account until the matter is decided. The second issue is whether Sucart will face any consequences for omitting this valuable asset from his bankruptcy filing if, in fact, it was in his possession when he filed his bankruptcy case two years ago. 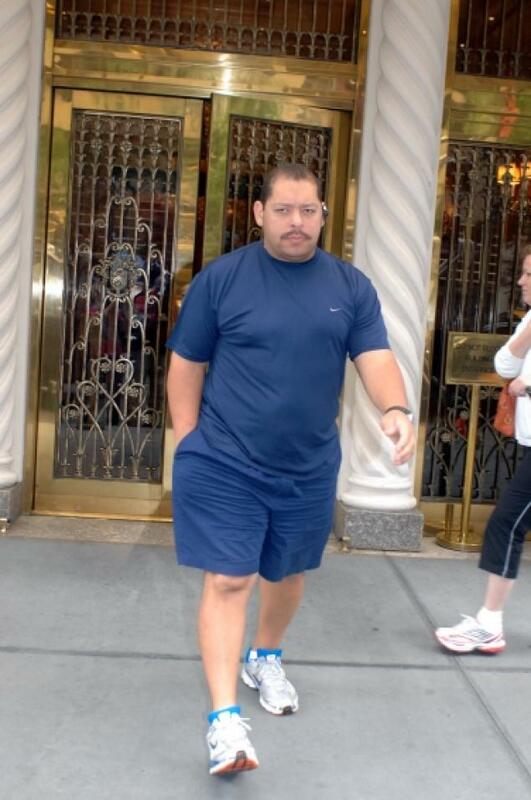 Based on recent rulings that have resulted in jail time for bankruptcy fraud, Sucart may be facing his own time in a uniform with stripes – but not nearly as cool as the striped Yankees jersey his cousin A-Rod suits up in! If you're in debt and considering a Chapter 7 filing, consult a reputable North Carolina bankruptcy attorney for assistance.